A few years back, there was a funny Super Nintendo joke. 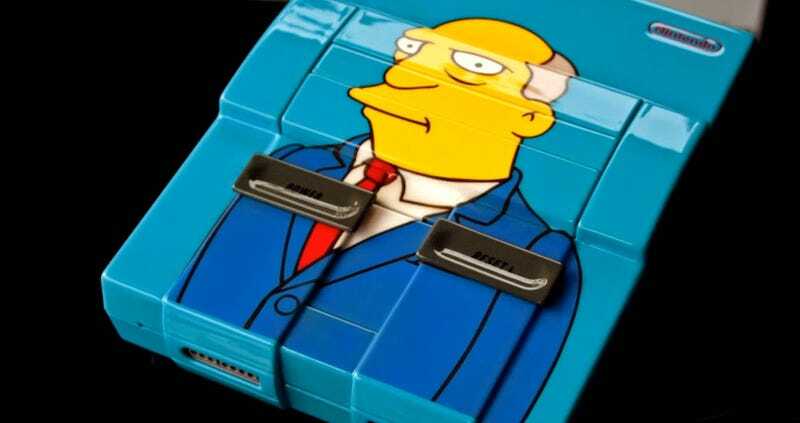 In 2017 it has been brought back and perfected, thanks to a masterful console paintjob by zoki64. The Slovenian artist was commissioned by Picante to create this custom console design, which isn’t just painted exquisitely, but also has fantastic detail, like the re-coluring work extending beneath the cartridge flaps. There have also been a couple of slight hardware modifications, with the SNES’ power light swapped out for a yellow bulb (to match the pads/skin), and the cartridge slot widened so it can fit both European/JP and US carts. Oh, and look at the detail in that logo. You can see more of zoki’s work at his YouTube channel.